It’s time to spruce up Faith Hall. 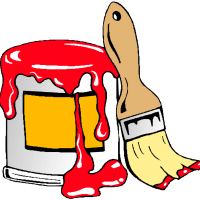 The Trustees Team will be hosting a painting party on Sunday, April 29 after the 11:00 service. We will be putting a fresh coat of paint on the bottom portion of the walls. The paint and all painting supplies will be provided. All you need to do is just wear your painting clothes. Lunch will be provided! So if you like to paint, please come and join us on Sunday, April 29th!